Raleigh, N.C., Dec. 10, 2013 /PRNewswire-USNewswire/ –Runners’ World Magazine, a leading national publication for the running community, has named Allscripts Tobacco Road Marathon (TRM) among its top ten new races since 2008. The recognition comes in theJanuary 2014 issue with a feature article beginning on page 80. The Runner’s World recognition comes in the wake of accolades from Endurance Magazine, a leading publication serving people with active lifestyles throughout the Carolinas. Endurance recognized TRM events with five awards. In addition to being named the winner for best pre-race expo, TRM events shined in the runner-up spot for: best marathon; best half marathon; best post-race experience and best race swag. Registrations for the Allscripts Tobacco Road Marathon and its companion BaySix Half Marathon are running at record levels. Runner feedback indicates ideal running conditions noted by Runners’ World are building a reputation for the events as among the best in the country to achieve personal goals or qualify for the iconic Boston Marathon. Both are conducted on the Carolina pine-lined American Tobacco Trail. All proceeds go to these charities: JDRF, the Wounded Warrior Project, the Red Cross, Wake County Parks and Recreation, and Rails to Trails Conservancy. 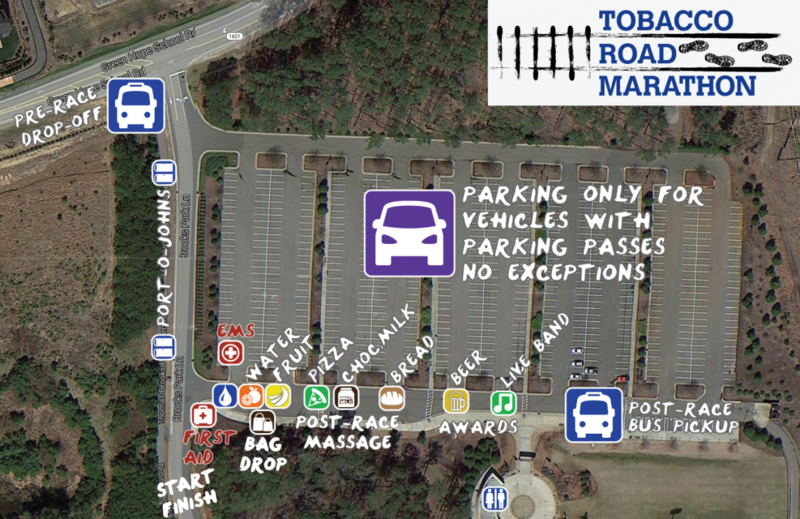 Details including on-line registration and training tips can be obtained at www.tobaccoroadmarathon.com. Cash awards will be provided to overall winners for men and women as well as active military and masters runners. A post-race party will include a massage tent, beer garden and refreshments.